In December 2013, Boston passed Article 89, a new addition to the city’s zoning code that allows for urban agriculture. Since this time, the support for urban agriculture in the city has been tremendous, but there has been limited collaboration between the public, private, and non-profit sectors on how to create a vision for its future in Boston. A multitude of organizations and individuals throughout Boston are working on urban agriculture, both in the non-profit and for- profit sectors. The Boston Urban Ag Visioning process will bring these diverse organizations to the table to create a vision for Boston around food production and distribution, which will enable farmer livelihoods, provide multiple access points for food, and determine how to create food access for low-income constituents. Representatives from all aspects of urban growing in the city will be engaged, including community gardeners, traditional farmers, gleaners, edible forest developers, farmers’ market reps, traditional and rooftop farmers, as well as food production folks. Holly Fowler of Northbound Ventures has been selected to facilitate the process. Her role will be to help extract ideas, finding a common vision for growing in Boston that meets the needs of all stakeholders involved. The new movement of urban agriculture will create a diverse array of growing options, and open new markets for existing and new farmers. The existence of this group will allow every area of urban growing in Boston to have a role in determining this vision, and to collaborate as one entity to achieve this goal. Thinking about the visioning meeting, I don’t remember any chefs among the group. Certainly, the local chefs may have a lot to say about what they’d like to see in a local agriculture vision. The Chefs Collaborative (http://www.chefscollaborative.org) should be contacted if they haven’t been already. Carolyn Mugar of FarmAid (http://www.farmaid.org/) could help place our local efforts in a wider context and their office is in Cambridge. 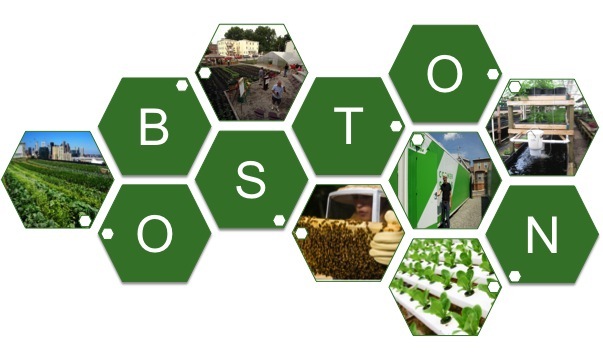 I will be part of a panel on urban agriculture at NESEA’s Building Energy 15 the first week of March at the World Trade Center in Boston.